It’s been four years since the Polish release of Season of Storms, which hit the bookstores fourteen years after The Lady of the Lake, fifth and – at the time – final part of the Witcher saga. The latest book in the cycle came unexpected, like a summer storm indeed, when nobody even dreamed that Sapkowski would return to his most recognizable book series – the series that made him THE fantasy writer in Poland, and one of the prominent fantasy writers worldwide. Heck, there were some who suspected that he had decided to give up writing for good and enjoy his retirement at that point. A few months ago, after a long wait, the official English translation of The Lady of the Lake finally became available in the West. Now, the western readers are slowly beginning to show interest in the latest book in the series. Unfortunately, Season of Storms is scheduled to hit the bookstores in the US and Great Britain no sooner than in May 2018. If, however, you cannot wait to read the final book of the saga, you can always turn to the fan translation that’s been floating around since last year – you’ll find it here. In the meantime, I’m going to tell you a bit about Season of Storms and what exactly you can expect from this book. Let’s begin with some basic facts. Compared to the previous seven books included in the cycle, Season of Storms sets itself apart with its formula. As a separate, noncommittal story, its closest relatives can be found among the short stories, although they cannot match it in scale – after all the book is about 400 pages long. The other thing is the book’s multi-thread structure – you could even say that it’s a collection of several stories loosely bound by a few overarching themes. But let’s leave structure and arcs aside for now. What exactly is Season of Storms about? Well, Sapkowski certainly stayed true to his long-time byword, insisting that the story of Geralt of Rivia ended exactly where it should have ended and there’s no sequel to that. Instead, the author decided to write a prequel to the saga – or interquel, if you look at it from the perspective of short stories. Specifically, the action takes place directly before the events of his debut work – a short story simply called The Witcher. The eighth installment in the cycle provides insight into what exactly the White Wolf had been up to before he entered the city of Vizima to free the daughter of King Foltest from her curse. 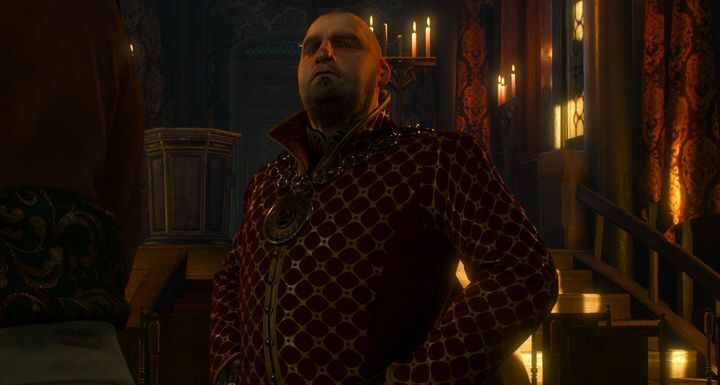 As it turns out, the preceding month was quite exciting for the witcher, as he spent his time in a small seaside kingdom of Kerack, and in such locations as Novigrad or Rissberg (previously unknown place – a castle in western Temeria, used by a group of venturesome mages). It all begins with an unfortunate contract for a certain unique monster, which indirectly leads to Geralt being imprisoned, stripped of his swords, and involved in both magical experiments taking place in Rissberg and a struggle for succession in Kerack. In short, things get hairy and twisted – 400 pages would be just the amount of space needed to set them straight. And although it is anchored in the rest of the story presented in the other seven books, Season of Storms can be enjoyed as an introduction to the Witcher book series without knowing the rest of them; I wouldn’t recommend doing that though. Not just because the quality of the eighth book sets it apart from its predecessors (on which I will elaborate later on). The main reason is the fact that Season of Storms is brimming with easter eggs, nods, and various other little tidbits for the fans of the Witcher universe. Regarding Sapkowski’s declarations that he’s going to keep the ending of the saga as it was presented in The Lady of the Lake intact, I’d say he succeeded in 95%, not 100%. Relying on some of his favorite tricks, the author plays with tropes and storytelling canons, and presents some of the action through flashbacks, seen from the perspective of characters living dozens of years after the events depicted in the book. One of those characters in Season of Storms is young Nimue, who experiences something which will significantly affect her later life as sorceress and researcher of the witcher legend; the readers, in turn, are given some new theories as to what really happend on Malus Island/Avalon in the aftermath of the saga... Yes, first-time Witcher readers will miss a lot should they enter the universe through the latest book. ...such as Borsodi’s Auction House, which plays a key role in the plot of the Hearts of Stone expansion – the location first appeared in Season of Storms. Here you can see Horst Borsodi. And that’s just the tip of the shout-out iceberg. The book couldn’t possibly do without Dandelion or Yennefer, including the saucy backstory of her relationship with Geralt (although, unfortunately, the sorceress of Vengerberg is more often mentioned by others rather than appearing in person). 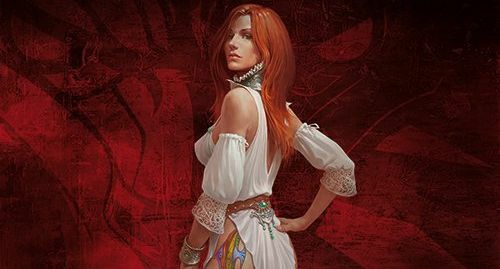 Furthermore, Sapowski did a good job of expanding a theme that was teased in the short story Something More (Polish title: Cos wiêcej) – the short but intense affair between the White Wolf and sorceress Lytta Neyd, also known as Coral. In addition, Sapkowski decided to shed some light on things like the origin of witchers, the special properties of their swords, the Redanian–Temerian border skirmishes, or the business activities and experiments conducted by the Brotherhood of Sorcerers – the latter is directly related to the aformentioned witcher origin. We also learn more about the witcher School of the Cat, a new witcher sign – the sleep-inducing Somne, as well as expanded bestiary. The list of creatures now encompasses various results of magical genetic engineering (such as Vigilosaur or Trogre) and such creatures as Vodyanoi, or the mystic vixen – the Far East-inspired Aguara. An ardent fan of the universe will surely be excited about these tidbits. 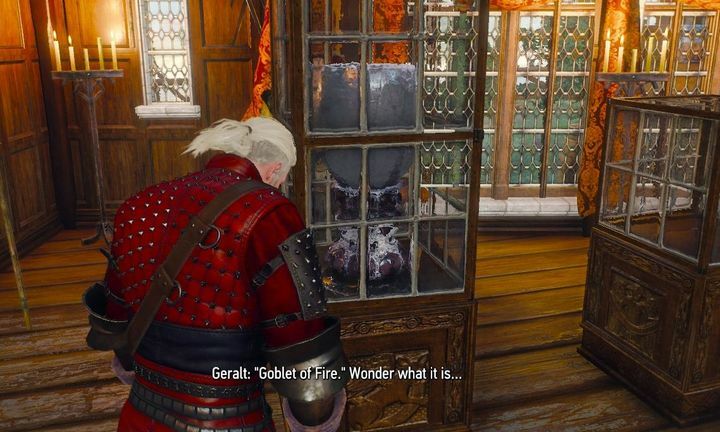 Looking to entertain Yennefer, tired after performing rituals over Uma in Kaer Morhen, Geralt tells her a short anecdote on how he lost his swords (and especially on how Dandelion unsuccessfully tried to compensate his loss). That’s another nod towards Season of Storms in The Wild Hunt. The above description depicts a novel that is a must-read for the fans, but, as I’ve mentioned before, the quality is what sets Season of Storms apart from the previous books. The main culprit is the formula adapted by Sapkowski – it’s hard for a prequel to engage the reader emotionally, when we already know that the protagonists will survive, and Sapkowski’s narrative, unfortunately, jumps from scene to scene so much that even 400 pages aren’t enough to introduce any important new characters. This doesn’t mean that there are no distinctive characters in the book – Coral, her apprentice Mozaik, dwarf Addario Bach, or the eccentric wizard Ortolan are certainly among the characters the reader would like to meet again. Yet another, and bigger, issue is the style in which Season of Storms is written. Neither the gritty, down-to-earth setting of Kerack nor the modern atmosphere of Rissberg are a good match for the thought-inspiring, fairytale-like mood that was a strong asset of the short stories. One exception would be the episode with Aguara on the Pontar river, but it’s just a small fragment of the book. Additionally, by throwing a lot of separate adventures and plot twists into a single bag, the book has very little room left for bonding with characters and allowing them to express some deeper thoughts in dialogues. Yes, the characters do talk quite a bit, and most of it are intelligent conversations – as usual in a book written by Sapkowski – but often it all boils down to over-the-top eloquence and snappy comebacks (perhaps from the characters, perhaps from the author himself) rather than meaningful communication. What’s more, sometimes you get a feeling that Sapkowski resorts to a style that’s a bit too coarse – even more so than in his previous books. Another subtle nod can be found in relation to the figurines of the unfortunate people subjected to artefact compression by sorceress Coral. Still, once they were decompressed, Geralt somehow failed to mention that there had been something going on between him and Lytta Neyd. Perhaps he just wanted to keep the matter a secret from Triss? All of the aforementioned flaws, however, cannot change the fact that Season of Storms is a very good novel, in which Sapkowski is once again able to display his top-notch writing. Any failings that may be felt in the text are easily offset by the book’s briliant ending – ambiguous, thoughtful, nostalgic... and shedding a new light on the epilogue from The Lady of the Lake. Fragments such as this one make me wish to see even more of Sapkowski’s books available in bookstores. Even if all of them were to be on the same quality level as Season of Storms – high, but not as high as the past books had us expect. If you’re a fan of the Witcher world and you’re already caught up with all the books, you can either wait for an official translation or try the one that I linked in the beginning of this article. Whichever you choose, I’m quite certain you’ll be happy that Andrzej Sapkowski hasn’t yet given up on expanding this world. And with Netflix’ Witcher TV series coming, we might even get some episodes related to Season of Storms, right?